Loblaw Cos. no longer has the position of chief executive officer. Canada’s largest grocery retailer said Tuesday that Chairman and CEO Galen Weston has become executive chairman, and Sarah Davis has taken on additional duties in her role as president. With the move, Davis (left) now oversees Loblaw’s 13-member management board and adds finance and human resources to her direct reporting lines, on top of her daily supervision of the company’s business performance. She continues to report to Weston. In the role of executive chairman, Weston retains senior executive oversight of Loblaw's long-term strategy, the company said, adding that he will be able to devote more attention to the transformation under way at parent company George Weston Ltd., where he serves as chairman and CEO. Loblaw noted that no other changes have been made to its executive team, which in the C-suite includes Mike Motz as chief operating officer, Darren Myers as chief financial officer, Rob Wiebe as chief administrative officer, Garry Senecal as chief customer officer and Gordon Currie as chief legal officer. Davis has served as Loblaw’s president since January 2017, taking over the role from Weston, who became CEO of George Weston Ltd. after being named chairman in 2016. 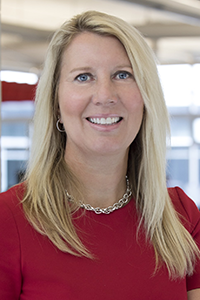 In her 12 years at Loblaw, Davis has served as chief financial officer, chief administrative officer and the executive lead of most business and operational functions. "Sarah and I have worked closely for over a decade, and she has played an important role in many of Loblaw's most defining moments: the formation of Choice Properties, the acquisition of Shoppers Drug Mart, the creation of PC Optimum and a long-term strategy that demonstrates our passion for customers," Weston said. "Together, our team has put the company on an exciting strategic path, and Sarah is a great leader to take us forward." The executive change comes two months after Loblaw spun off its 61.6% interest in the Choice Properties Real Estate Investment Trust (REIT) under a reorganization with George Weston Ltd. The transaction, completed Nov. 1, positioned Loblaw as a “pure-play” food and pharmacy retail stock. Loblaw’s interest in Choice Properties went to George Weston Ltd., which now owns about 65.4% of the REIT directly. George Weston Ltd.’s business units are Loblaw, Weston Foods and Choice Properties. Loblaw operates more than 1,050 supermarkets, including about 500 in-store pharmacies, plus nearly 1,400 Shoppers Drug Mart and Pharmaprix drug stores. The company also provides the President’s Choice (grocery), no name (food and household products) and Life Brand (health and wellness) private labels; PC Financial services; Joe Fresh fashion and apparel brand; and the PC Optimum loyalty program.